Ok, so I may be a couple days late, but it’s time to think about what I want from this year. A lot of people complain about celebrating New Year, as it’s just another day really, and you can change your life any time you want. While I understand this, I do think New Year is good at making us pause and consider where our life is. We celebrate having made it through another year, then consider what’s coming next. As mentioned here, my resolutions from last year went ok, but I’m not making any this year; rather, I’m just going to discuss goals and what I hope to achieve this year. Writing - First up, as regular readers may have guessed, writing is very important to me. Last year’s resolution was to blog more, which I did pretty successfully. This year, I want to continue on that streak, and three posts per week seems to be a good routine for me. Beyond that though, I’d like to gain more experience or be published by other organisations. My MuggleNet position is a good start in that respect, but I don’t want to only write about Harry Potter forever. I’m looking out for internships and guest spots and competitions and the like. I’d also like to get back to my fiction sometimes. I’ve had the same novel idea churning away for years now, and have yet to get beyond the first couple of chapters (partially because I keep making changes…). Health - I know this is a generic resolution, and one that I tried last year, with mixed results, but I do need to get in better shape. I lost a little weight last year, but my fitness is atrocious. I don’t have specific targets for this, but I’m hoping to go out walking more and get back into yoga, and cut down on the amount of pizza and chocolate I’ve been eating lately. I hate exercise, and my weight has never concerned me, but I know that I should be leading a healthier lifestyle. Reading - This isn’t something I thought would ever be on a list of goals for me. When I was younger I devoured books, and I still have shelves upon shelves full of them. However, in recent years my reading has decline dramatically. Mostly I attribute this to how much reading I have to do for university, which is a hefty load, so when I finish and have time to myself, I don’t want to pick up another book, and instead turn to TV and film, which the internet gives us remarkable access to. However, this year I want to make an effort to read more again in my spare time, particularly once I finish the semester. Opportunities & the Unknown - I want to take more opportunities this year and try new things. Too often in the past I’ve turned things down out of fear or uncertainty, but in the past few years I’ve become more confident and independent, so I think I can push myself into trying more new things now. I especially want to get better at doing things alone, rather than missing out because no one else wants to. I got better at this last year in France, when I didn’t have my friends around to ask to do things with me, but haven’t done so well on this since I’ve been back and actually around my friends again. 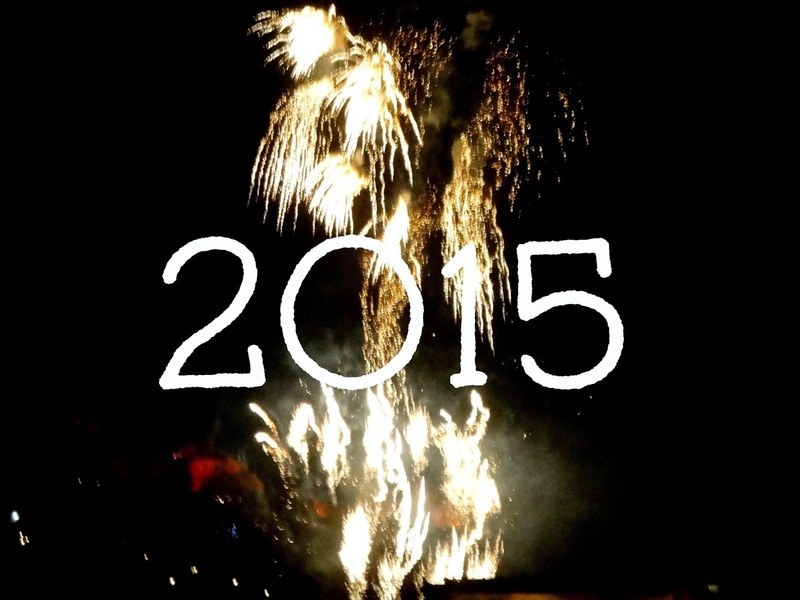 Other things I’m looking forward to this year (which you’ll no doubt hear about on here!) include several concerts in the next few months, another family wedding over the summer, the trip to Copenhagen and my 21st birthday. The last months of university are looking pretty busy; it’s the latter half of the year that’s dauntingly empty. I’m kind of excited though. As good as university has been, I’m looking forward to new adventures and challenges. I have no idea where I’ll be this time next year - hopefully travel and writing will feature in somehow! - and that both terrifies and excites me. So while I do have some goals this year, I certainly don’t have much in the way of concrete plans. As always, I’m still just muddling through life!